In large bowl, toss all salad ingredients. Refrigerate at least 15 minutes to blend flavors. 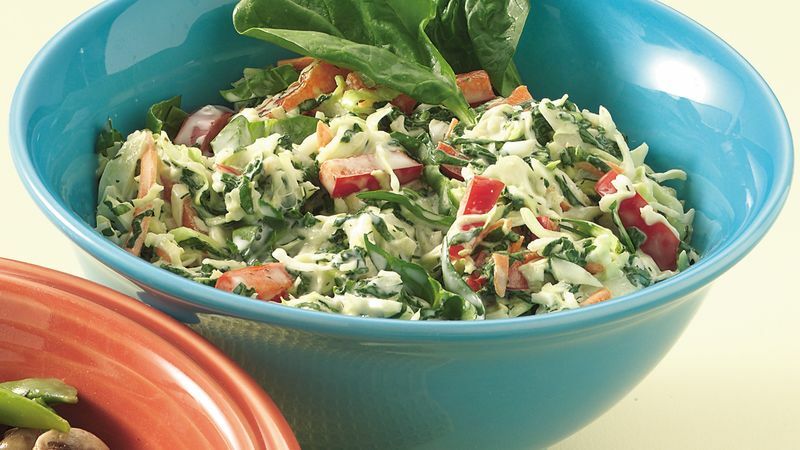 Adding spinach and red pepper boosts the vitamin content of this salad. Spinach is an excellent source of vitamin A, vitamin K, and folic acid. Red pepper provides vitamins A and C.